Hefty rain, snow, and hail storms are all extreme weather conditions that will soon appear throughout the Carolina winter months. Before the wintry precipitation hits, it is very important to prepare your home for any kind of possible winter climate damage. 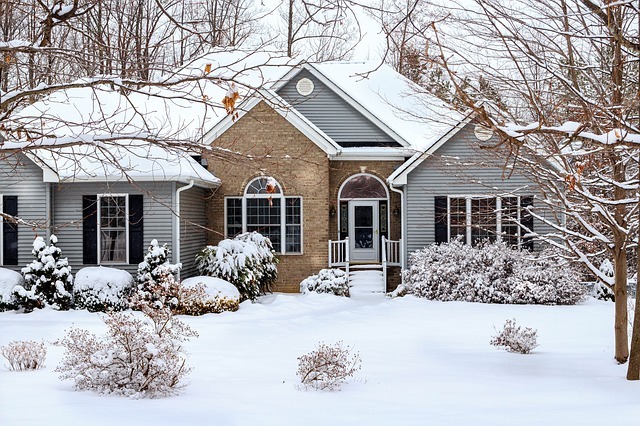 Here are a few easy maintenance maneuvers you can perform all on your own to prevent debris, leaks, and other issues from bogging your roof down throughout the winter season. Step 1: Examine your roof flashing and vents, and check for leaks. How do you spot a roof leak? Water pools on your ceiling and walls are a good sign there’s a problem. The most typical leak-prone locations are where water can make its way into your house. Missing tiles, loose vents and also improperly secured roof flashing, for example, are all potential problems, so inspect these areas of your roof first. Step 2: Repair leaks quickly. Also little leaks can cause big problems if not dealt with, so if you do not desire mold and mildew or deteriorated insulation in your house, act upon any signs as quickly as possible. It is you could perform some basic flashing or shingle replacements on your own, however it is necessary to keep in mind that you never want to put yourself at risk just to save a few bucks. If conditions aren’t ideal, and you lack a complete understanding of the problems at hand, hire a roofing contractor in Huntersville NC to perform the repairs for you rather than trying to do it on your own. Step 3: Make sure your gutters and downspouts are clean. Gusty winds and precipitation tend to rustle leaves as well as tree limbs loose, and they’ll end up on your roof and inside your rain gutters. Clogged gutters and downspouts are catastrophes waiting to happen, so make sure to provide all that rainwater a safe and unobstructed place to go: ideally 3 feet or even farther from the foundation of your house. Step 4: Schedule a free roof inspection with a roofing company in Huntersville NC. There’s only so much you can do on your own to keep your roof protected from winter storms. If an issue develops that you cannot successfully take care of, save time and headaches by calling on the professionals to help you. Trained eyes can usually find issues a lot more quickly, and they can often be fixed on the spot. It’s very easy to find a roofing contractor that you can rely on simply by asking your friends and neighbors for recommendations or searching online. If you’re reading this post, chances are, you’ve already done the latter, and your search for the best roofing contractor in Huntersville NC ends right here! Give us a call today at (704) 508-9870 to schedule your free roof inspection and estimate.